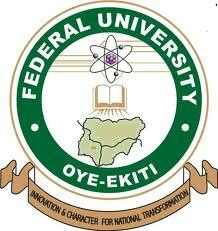 The management of Federal University Oye-Ekiti (FUOYE) is now selling application forms for admission into its pre-degree programme for the 2018/2019 academic session.FUOYE pre-degree runs for two (2) contact periods both within nine (9) calendar months. Duration of FUOYE Pre-Degree Programme: The programme normally runs for two (2) contact periods both within nine (9) calendar months. Pls can a candidate with nabteb as olevel result apply ? Is predegree form for fuoye still on???? When is diploma 2018 /2019 resumption. Please sir, I’ll be immensely grateful if u can clear my doubts. I wanted applying for d predegree program of FUOYE for this session, but, owing to the fact that the application has been left open till further notice and no official exam date announced yet, some people said I shouldn’t apply that predegree has been cancelled that’s why left the application till further notice, sir pls, I’ll appreciate if you’ll enlighten me on this, thanks. what kind of exam will they conduct? ?